Three boys, one summertime goal: to see a real-live naked girl. Fifteen-year-old Matt Gratton and his two best friends, Coop and Sean, always set themselves a summertime goal. This year's? To see a real-live naked girl for the first time - quite a challenge, given that none of the guys have the nerve to even ask a girl out on a date. 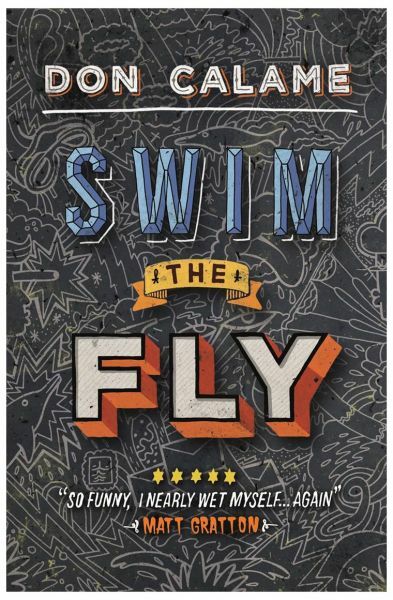 But catching a girl in the buff starts to look easy compared to Matt's other summertime aspiration: to swim the 100-yard butterfly (the hardest stroke known to God or man) as a way to impress Kelly West, the sizzling new star of the swim team. In the spirit of Hollywood's blockbuster comedies, screenwriter-turned-YA-novelist Don Calame unleashes a true ode to the adolescent male: characters who are side-splittingly funny, sometimes crude, yet always full of heart.